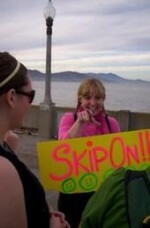 I love to skip! When I started skipping as an adult and created the iskip.com website, my life changed in big, miraculous, unexpected ways! It lifts your heart rate AND your spirit…and helps you worry less about what other people might be thinking about you. Skipping rocks! Yes. I skipped as a kid. Didn’t we all? There are definitely people out there who judge skipping and think it a ridiculous waste of time. I feel those people are part of our world’s problem and not part of the solution. They just make me want to skip even louder and prouder! Skippers of the world unite! I don’t think I’ll ever be “all grown up” because I believe life is constantly presenting us with new lessons and opportunities to go more deeply within ourselves! I think it is awfully easy to proclaim ourselves a grown-up and to use that as an excuse to stop learning and growing!